The book has officially been closed on the 2015 Halloween season. 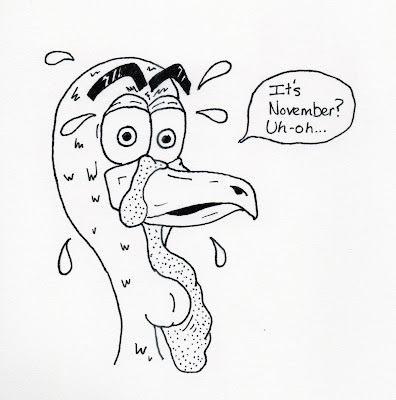 November 1 is here... and that can mean only one thing. 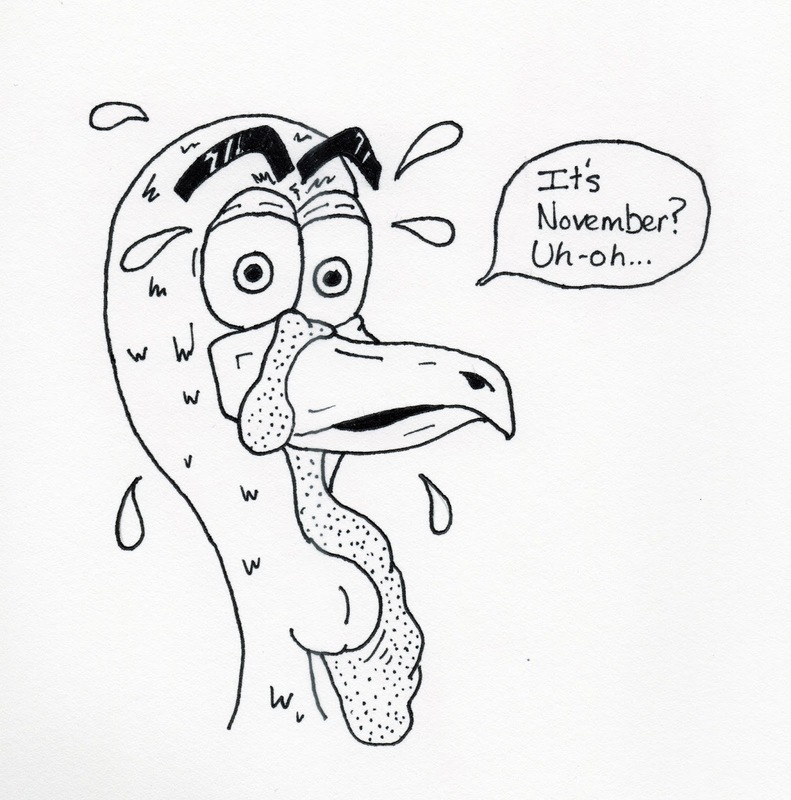 Turkeys everywhere are collectively crapping their pants. Of course, this notion served to inspire my sketch for this week's Draw Something installment.